ASUS announced Zen AiO 27 over a month ago. Now the all-in-one touchscreen computer with wireless charging pad has been available. Like the idea? Let’s keep checking. 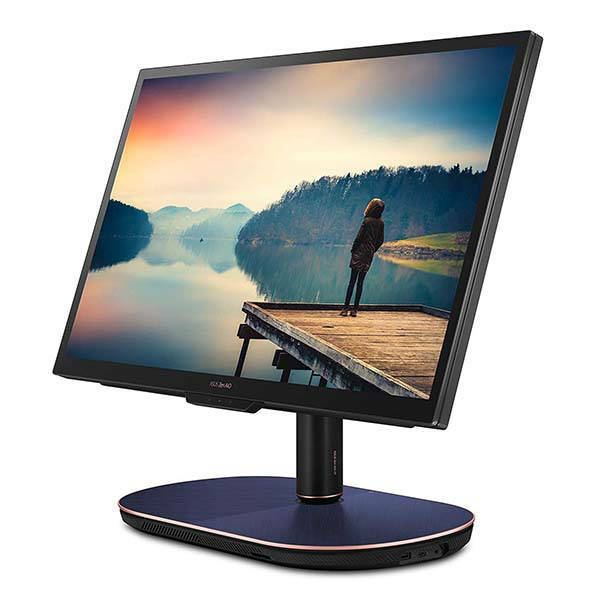 The Zen AiO 27 is a high-performance, versatile all-in-one touchscreen desktop computer that measures 24.7 x 20.6 x 9.7 inches and weighs 19.9 lbs. As we can see from the images, the desktop computer shows off an elegant, modern appearance design. The solid unibody is precision crafted with a metal-effect finish in glamorous deep dive blue, while the rounded contours and metallic bezel ensure the computer is compliant to any desktop style. Meanwhile, the elliptic base and integrated stand keep your Zen AiO 27 stably standing on your desk, and the viewing angle and height are adjustable for an optimal viewing position. 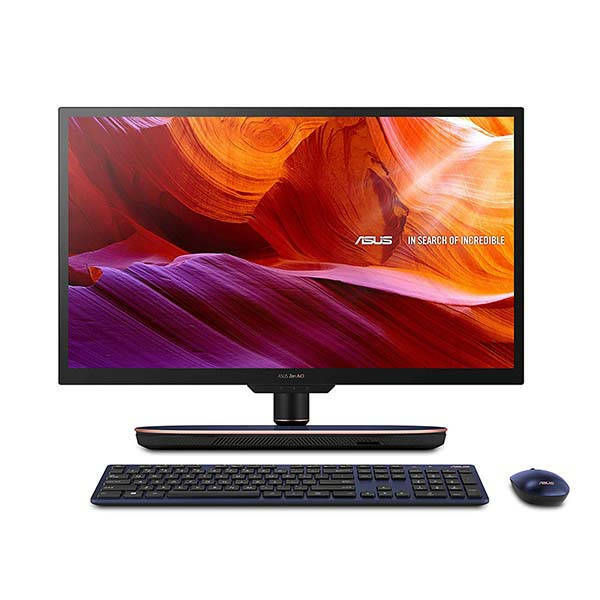 ASUS Zen AiO 27 is powered by 8th-generation Intel Core i7-8700T 2.4GHz processor (12M Cache, up to 4.0GHz) and GeForce GTX 1050 Graphics with 4GB, and it comes equipped with 16GB DDR4 RAM, 512GB SATA SSD, and 2TB HDD. With the decent configuration, the AIO computer is powerful enough to smoothly deal with various applications, games, 4K multimedia playback and multitasking. 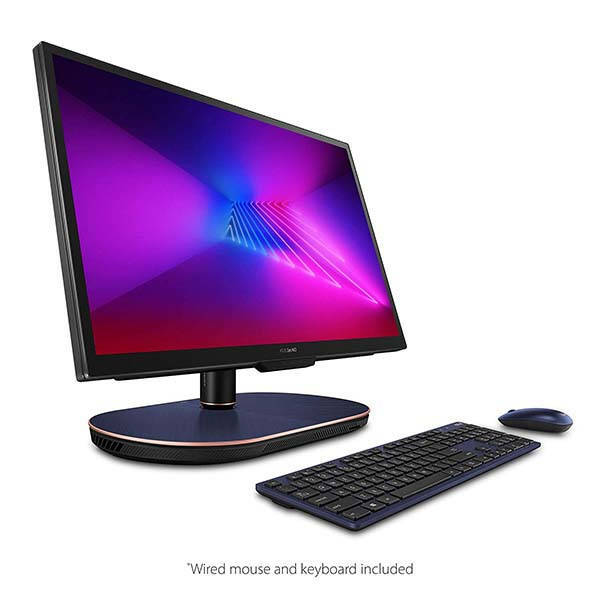 Furthermore, the all-in-one computer also features a UHD 3840 x 2160 4K 27-inch display with PANTONE Validated touch panel for gorgeous colors and images in different angles, and the 10-point touchscreen brings convenient mobile control experience to the desktop computer. Moreover, the Zen AiO 27 runs Microsoft Windows 10 Pro. Using its infrared camera, it can be unlocked via your face. A wireless charging pad has been integrated under the base so that you can simply place your Qi-enabled smartphone on the base for wireless charging. In addition, other features also include four USB 3.1 ports, one USB-C port, HDMI input and output, and microSD card slot as well as stereo speakers. The removable base cover allows you to access to its internal components for easy storage and memory upgrades. ASUS Zen AiO 27 all-in-one touch screen computer is priced at $1,999.99 USD. If you’re interested, jump to the product page for its more details.